Housed inside a windowless structure that looks like a seedy roadside truck stop, Memphis is as anti-Orange County as it gets. Appropriate, since its next-door neighbor is that supposed anti-establishment shopping center, The Lab, otherwise known as "The Anti-Mall". While The Anti-Mall shuns the Italian marble and snootiness of South Coast Plaza, opting instead for rusty industrial metal siding and grungy chic, they still manage to sell essentially the same overpriced merchandise sold over the freeway at the mall. Memphis, thankfully, does not follow suit. Rather than squander its eclectic setting, the restaurant embraces it by serving food that's different than the usual and at prices that are ridiculously affordable, at least during Happy Hour, which lasts from 3:30-6:30 pm. During this golden three-hour period, everything on the Bar Menu is $4. Arriving with growling stomachs, we channeled Elvis and ordered almost every single item we saw on the list. These are appetizers. Small plates to share. But as we soon found out, five of them summed up to equal more food than two normal humans can consume in one sitting. The Pizza was made from a thick focaccia bread -- chewy and toothsome. A dusting of cilantro, cheese, tomato, and sauce played up the andouille sausage, which was roughly cut-up into chunks as big as thumbs and then baked on top of the dough. 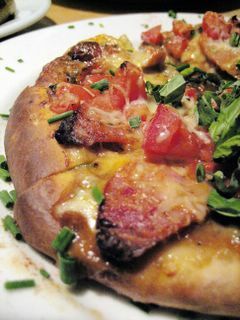 This smoked pork sausage was so assertively spiced, it bit back -- a New Orleanean kick-in-the-pants on the classic pepperoni pizza pie. Consisting of bread, meat, and cheese, the Meatloaf Sandwich was a substantial meal on its own. It was easily the singlemost gut-filling dish we ordered. Our hunger pangs were immediately squelched as soon as we swallowed our first hefty mouthful. The richness of the cheese stood up well against the beefy meatloaf, making it a winsome if not an overly-decadent combo. The meat harbored a touch of sweetness and fruity tang from the tomato sauce glaze. My favorite of all was the Zuni Frybread. Frybread is simply deep fried dough, made from wheatflour bound together with lard. 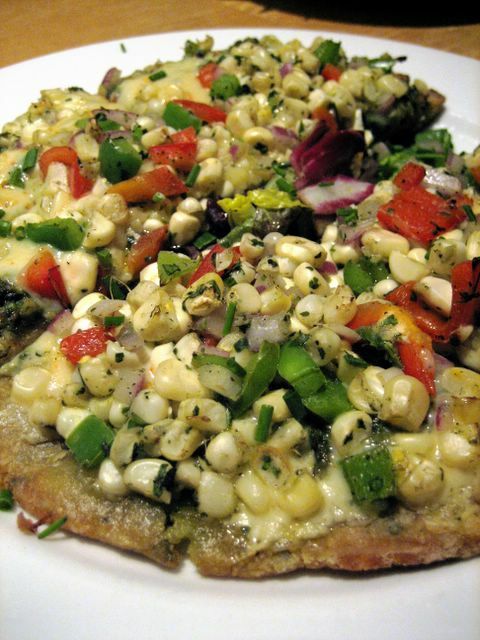 Memphis disguises the inherent unhealthiness of its origins by covering the frybread with fresh white corn salsa and melted pepper jack cheese. The result? Utter deliciousness. The frybread, crumbles like flaky pie crust; the kind made with Crisco. And the veggies did its duty, making me believe, if only for a second, that all this was good for me. The Steamed Prince Edward Island Mussels and Manila Clams came in a murky red tomato and white-wine broth, studded with diced andouille sausage and celery. Planks of toasted garlic bread crowned the bowl. 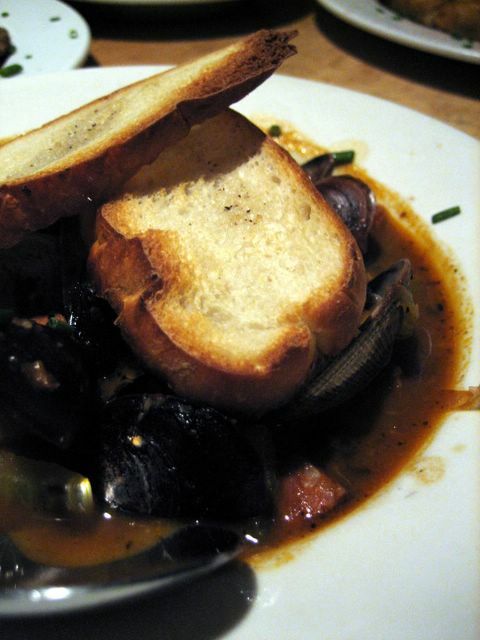 The mussels and clams, tender morsels of the sea, swam in that caustic brew, which might as well have been lava. I was foolish enough to sip a spoonful of the soup straight up and almost choked from the intensity of the spices. A smarter thing to do would've been to dunk the toast in the broth daintily, like dipping a toe into bathwater. 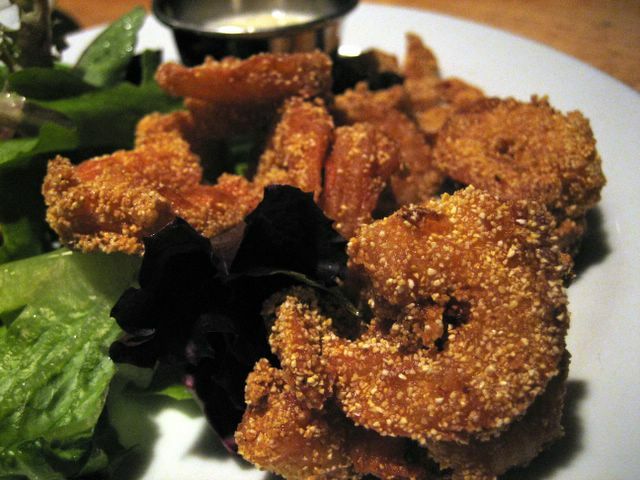 Dusted with cornmeal, the Fried Shrimp came on the plate doing summersaults. Curled and crispy, with the granules of the cornmeal breading acting like crunchy, edible armor, I took them for dunk in the zesty remoulade dipping sauce. Soon they were dancing in my mouth and then all the way down my gullet. A little overcooked if I was really being critical, but how could I? It's $4 for a generous serving of shrimp fer cryin' out loud! In the end, we had enough food left over for an "Anti-breakfast" the next morning. Thanks you! Heh, as far as the anti-mall stuff that is. Its a nice enough place and I'm a fan of the Gypsy Den, but you're right, a lot of the high-priced fashionable shops and salons seem to be targetting the same crowd as South Coast Plaza; I was never clear on what was anti about this mall. Haha, amusing write-up though. An "Anti-breakfast" ey? Memphis sounds like a pretty pleasant place to grab a meal. My thoughts exactly! I'm guessing that the only difference is the choice in decor, which I actually think is quite interesting. But for them to call it an Anti-Mall is a daring proclamation. I think there are already plenty of Anti-Malls around. They're called Swap Meets. $4.00?!?! Go crazy at that place! 1) Fry bread is good for you. Always. Without question. Since I consume a lot of it, I know this for a fact. FACT! Eat more of it. 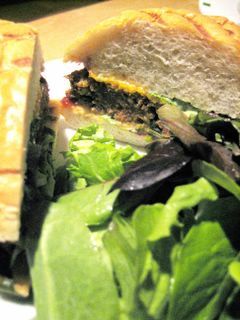 2) The meatloaf sandwich looks great. However, it would have been better on fry bread. Why? Because fry bread is good for you. Always. Without question. 3) The anti-mall probably is targeting the same consumers but can pretend to be socially aware by claiming they are more of a general warehouse feel. This type of thing sells. Of course, they could make a bigger killing if the sold more fry bread, which, as you know, is good for you. Always. Without question. Oh my goodness, that fry bread looks so good. Although covering the inherent unhealthiness of it with a layer of melted cheese may not be the brightest idea! Who cares though, it sounds delicious! If anything, most of the stores at the Lab are a lot more expensive than the ones at the regular mall. But, as it was said, the decor is much more interesting, and I guess you're paying for the ambience. I've never been to memphis during happy hour, but it sounds like I better go! I used to go there pretty frequently when I used to work in costa mesa, but it's been a while. I've been to the one in Santa Ana, too, and they seem to have pretty good consistency control but it's been a while--have you been to that one too? I'm with DietChilicheesefries-the gumbo rocks. I remember having a bowl a few days after I got back from New Orleans and thinking to myself that it was better than gumbo I had in new orleans. Also dig their pork chops for dinner. As breakfast they make a decentbloody marry, and they have Chimay in bottles which is hard to find at places these days (to be clear...not for breakfast!). Oh man, sounds great!! This is another option to add to my 21st Birthday restaurants line-up. I like it because of the $4 plates during HAPPY HOUR!!! I just hope that they won't raise the price by the time my b-day comes around. Now I'm empowered to eat more frybread! I can just think of it as really just a salad with a really big crouton! And why am I always a sucker for cheap food that tastes great?! Oh...I think I answered my own question! HAHA! Well, that cinches it, I'm eating more frybread -- your case for frybread is irrefutable. I'll be the first on the bandwagon for the Chadwick Diet! Beignets, those Chinese fried crullers, and frybread...deep fried carbs worth a few hours on the freeway and the treadmill! Whoa! Really?! Okay, I'll be adding gumbo to my order next time for sure. Yeah, that cheese functions like an adhesive for the corn salsa. And you're right, it's all good! Especially for four measly bucks! I hadn't been to the one in Santa Ana, but I should as you definitely should try their Happy Hour...one of the best deals in OC I think. Agree on The Lab. I don't buy anything from there, but it's a cool place to visit and show out of town visitors if they're in the mood for some funk. Okay, two votes for the gumbo...definitely getting it this week. Saw the pork chop on someone else plate. Looked awesome and succulent! I'm sure the Happy Hour deal will be around for a while. Only available on weekdays though. But Friday is a weekday!!! That's when I went. Thanks for this post! Is the happy hour deal for the appetizers only good at the bar or can you sit anywhere? The Happy Hour Bar Menu can be had anywhere in the restaurant! They have a nice patio outside, covered with a tarp, a dark romantic dining room which is within arms reach of the bar. Once you are seated (actually you can pick your own seats), simply ask for the Happy Hour menu. You. Must. Try. The Frybread. Went today for lunch. The usually dry cornbread was noticably improved. The cornbread they served us on our last trip out was decent too. Crumbly, soft, and moist. Could've been warmed a little, but still quite serviceable. Pretty great deal eh? I'm going back this week! Three plates would've been enough for the two of us for supper. But who am I kidding...it's $4! I'll still order just as much or more and take it home for breakfast and lunch the next day. Your blog is soo imformative! my bf and I are always willing to try new things..but not without some sort of recomendations. 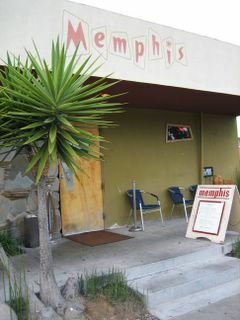 i ALWAYS see memphis because my friends and i go to gypsy den a lot (it's in the lab)--habana's is also good. i was always curious to see what kind of food they had. the food seems so good i like spices..but i don't like spicy..looks like i have to be really coosey when i go there..
do you mind htat i make some reccomdations? 1)inca grill in costa mesa on birstol or else in lake forest--Preuvian food..excellent! it's midley priced. 2)mother's market--it's in the square where the movie theader is on michealison where they have that cpk. it's auctally a vegean maket, but they have a little cafe in there..it's SOO good. and you cna't even tell that it's vegan! and it's filling too! i bought a laganza of a sort for like 6 or 7 bucks..and i coulnd't finish it..and i always finish my food. 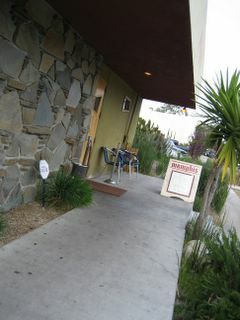 3)california beach--newport beach, lido ave by pavvilons and the theader..all you can eat sushi 22 bucks. it's great. but get there early and sit at the bar or prepare to wait. The quality of my dining experiences in general have definitely improved since I started reading this blog! Now that it's summer, I finally have more time to go out and munch! Tried Noodle Avenue, found it to be superb. And definitely, you do need to try the cream cheese wontons-- I've had them just as successfully in other Asian restaurants, but never so cheaply! Had a Fatburger, and was so glad to be able to find a burger with an egg on it-- usually in the summertime I had to turn on the stove to make myself an egg while everyone else was outside barbequeing, to make sure I had one for my burger. Now I know there's an alternative! I am always trying to find reviews of local restaurants before I leave the house-- 99.5% of the time, I find myself back here, in your archives, through a Google search. I can't believe you weren't floored by Fukada, in Irvine. Not only do they hand-thread their noodles, just like in Japan, but they provide all natural ingredients for their foods. Never had I had so succulent a bowl of steaming vegetable curry and rice as I've had there. But then, I'm a curry hound, and I'm very particular. More noodle cheap eats? Fountain Valley-- Ebisu Ramen. Big bowl of curry ramen will only set you back about $6.. although in the past year or so, I've found their quality to be slipping a little bit. The beef is more stringy than it used to be, but it's worth checking out. And as I've mentioned-- please! The Orange Circle! Try Two's Company Catering & Cafe for lunch. I recently had a turkey-cranberry sandwich that was to die for-- it's like Thanksgiving in the month of May. There's also been several dessert bars popping up-- Mustard Cafe looks more corporate than the cozy, homey Blue Frog Cafe. And of course, the Banana Malts at Watson's are to die for. And do NOT by any means forget Rutabegorz. The Walnut That Kissed the Chicken is an incredible sandwich, and that says a lot, since I don't even like chicken salad! Every month, they also have a $1.00 special from their menu. And although I'm not sure what it is, you MUST try "Heaven" from Papa Hassan's. Thanks for writing in! I'm glad you've found my blog useful and thank you for the recommendations you made. I have tried Mother's Market and Inka Grill (only the Costa Mesa location), and liked them both. I think I had an omelette or something like it at Mother's Market. You're right though: vegan or not, it was good and filling. Never heard of California Beach, but it'll be on my list! Thanks! Thanks for the ringing endorsement! Always great to know that my humble blog is being utilized and that you liked my recommendations. I seriously have to remember to get the cheese wontons at Noodle Ave. Keep forgetting! I agree Ebisu is pretty good...sometimes spotty though. Okonomiyaki I had there which was great one time, wasn't the next. Thank you for your other recs. I really have to go to the Orange Circle. Sounds like there's a lot of great food to be found there. I've been looking for a dessert cafe, and that "Walnut that Kissed the Chicken" at Rutabegorz sounds too funny to be missed. Hi Elmo - $4...are you serious! Looks like some serious good grinds. Yup! $4! Pretty darned good stuff for a Happy Hour menu! I think I'm going again tonight. Wow- that frybread looks as devilish as it probably tasted!!! Next Chowhound potluck- you must bring us some!!! I don't know if I can resist not eating them all up myself! Just a warning about Memphis's Happy Hour...depending on who you get as a waiter, you might have to saddle up to the bar to enjoy the Happy Hour food. I used to go to the Anti-Mall a lot during college. And i've only been to Memphis for the club, but it's nice to know what they actually serve. Have you ever eaten at The Lodge ( @ The Camp ). I think it's right across the street. Didn't realize Memphis was a club! Weird to think of it as one...I'll have to check it out one of these Saturday nights. The Lodge, unfortunately, (or maybe not so unfortunately), is gone. Got replaced by something called Aire. The Lodge is no longer the Lodge.. it is Aire, a hot hot hot (or at least everyone thinks they are & some, not all, are right) tapas type place, alse has some great entrees. A whole lot more fun than the Lodge. I'll have to check out Aire...although I heard some negative responses from the board. Maybe I'll go, but keep my expectations in check. Memphis IS the best. If my hubby and I get a rare date night, we will go to one of two places. Memphis or California Shabu Shabu in Fountain Valley. And please please - you HAVE to go to the Orange Circle....FELIX'S! Little known fact about Felix's is that they serve a great breakfast on the weekends! Great Blog Elmo! Went to Memphis on a "Grub Crawl" for a nonprofit called BAMGAM. They had us sample their pork and chicken sliders, which were to die for! Love your blog by the way, living in Orange County now and it's the perfect way to see all the places I can try!